For centuries, child birth occurred naturally with help of trained or experienced women. Midwives were often well trained women with children of their own. Midwives usually practiced within ethnic and class-based communities. In addition to helping with the birth, their fee often included check-up visits and assistance with household work for about a week. Although the use of midwives remained strong through the 1800s, trained male physicians began helping with normal births in the 1760s. These men were usually hired for wealthy women. For the average American, a trained physician was only called in an emergency. Doctors were a luxury because they could use tools such as a vectis or forceps and administer drugs such as opium and morphine. In the 1850s, physicians began using anesthetics to help with difficult labors. In spite of medical advances, postpartum hemorraghes and infection were common and often fatal for the mother. The urbanization of early 20th century allowed birth to move from private homes to hospitals which were equipped with penicillin and blood banks. This shift happened rapidly. Before World War II, only half of the births in the United States occurred in hospitals. By 1955, 99% were women were delivered in a hospital. 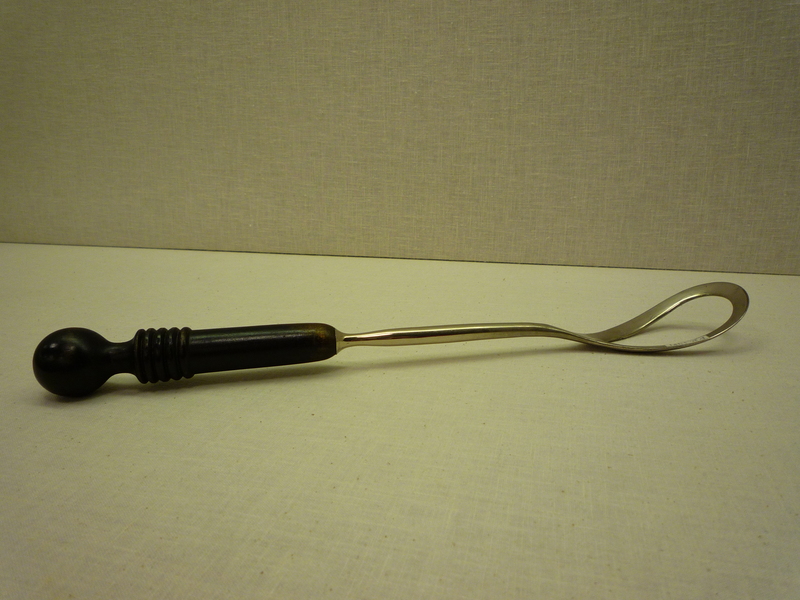 The invention of obstetrical forceps was a great advance in obstetrical tools for physicians. They were invented in England by the Chamerlin family in late 16th century. Shaped like a pair of hands, these curved metal blades were inserted into the pelvis separately then locked together. Forceps could be used to turn the baby in the womb or guide it through the birth canal. Turning babies so that their head or feet faced the birth canal was best method in difficult births since cesarean surgery was very risky. (The first successful cesarean section was recorded in the United States in 1827, but the procedure was not common until use of anesthetics, antiseptic surgical practices, and penicillin are widespread in early 20th century.) 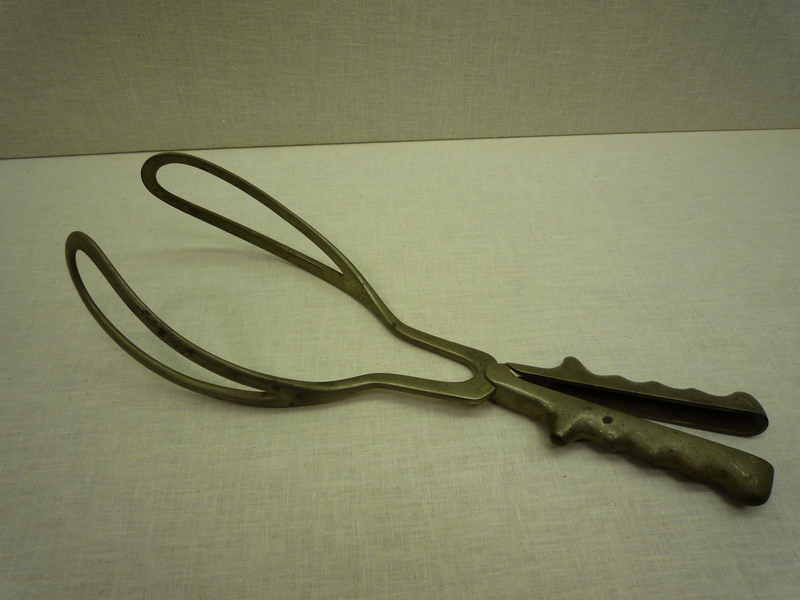 By mid-1700s, several models of forceps had been invented by physicians and their use became more common. Although forceps saved the lives of many woman and children, physicians untrained in their use could cause damage to the woman or child. Woman experienced tears, infection, and permanent damage. Children could be deformed or disabled by the metal blades of the instrument. 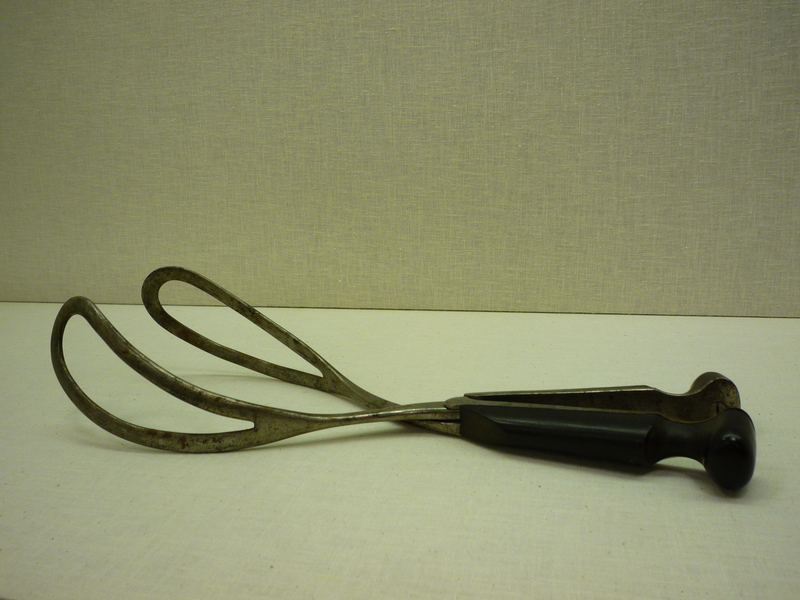 See more obstetrical tools in our “Tools of the Trade” exhibit opening this spring! Next Post Hear the Iron Lung at work!